where and . 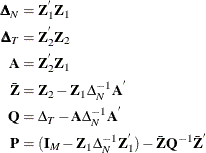 The matrix gives the dummy variable structure for the two-way model. 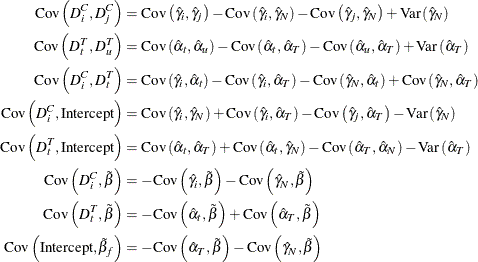 where is the matrix without the vector of 1s. where the residuals are given by if there is an intercept in the model and by if there is no intercept. The actual implementation is quite different from the theory. The PANEL procedure transforms all series using the matrix. The variable being transformed is , which could be or any column of . After the data are properly transformed, OLS is run on the resulting series. Now you work out the variance covariance estimates for the dummy variables.